Repair it, Don't Replace it! 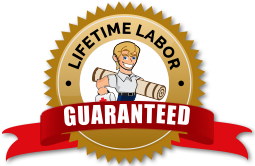 Before you decide to replace your worn out carpet, take a look at Los Angeles Rescue Carpet Repair services. We provide impeccable carpet dyeing, carpet patching, carpet stretching and all sorts of carpet repair services that can magically restore your old carpet to its former glory. This does away the need to spend thousands of dollars to replace your old carpet and help reduce your carbon footprints. We have all the right tools and equipment to ensure that your carpet repair is carried out in a quick and professional manner. Our technicians are trained and certified to not only handle the equipment and tools efficiently, but to also carry out prompt and efficient carpet repair services. We use a variety of methods to repair your carpet and our methods are chosen based on the type of carpet and the damage it has sustained. You will love the results our carpet repair services have to offer, as no one will know that you have had your carpet fixed. We support the Romans of Los Angeles High School! Berber carpets are known to be long-lasting and durable besides being decorative. However, these carpets can get snagged, causing the yarn to unravel. This results in bare back carpet. Your Berber carpet can get damaged by pet claws, vacuum cleaners, shoes and even spills and stains. We provide Berber carpet repair, where we weave the yarn manually so that its fits seamlessly into your carpet. We always use yarn that is similar in color and texture to the yarn present in the carpet. If necessary, we dye the yarn to match the color using plant-based and non-toxin dyes. If you require carpet patching for your Berber carpet, we fit in a permanent piece from a similar Berber carpet using epoxy resin. This seals the edges, making the repair unnoticeable. Usually, when carpets get damaged, the damage is limited to a small area. So, why would you want to replace the carpet at an exorbitant price instead of opting for carpet patching? Los Angeles Rescue Carpet Repair offers affordable carpet patching service to fix the damaged portion of your carpet. We can use this repair service to fix spills, rips, tears, discoloration, pet chewing and stains, and wearing out due to foot traffic. We reweave the fibers if they have unraveled, but for rips, holes and tears, we first cut out the damaged section of the carpet and fit in a new part that matches your carpet. We can take the new part from a spare carpet piece that you have or from an inconspicuous corner of your carpet. We use strong epoxy resin to join the piece with the original carpet so that it fixes permanently. You will be unable to make out that our technicians have performed carpet patching once we finish. This service is designed to save you time and money, and you should avail of it if your carpet is suffering a bad patch. We cater to commercial and residential customers and offer a quick turnaround time. Your once smooth carpet can get loose due to incorrect installation procedure. Usually, when carpets are installed, you have to use power stretchers to fit them tightly from wall to wall. If this process is neglected, over time, your carpet will get loose. Your carpet can also get loose due to frequent temperature fluctuations or when the padding gets worn out. Los Angeles Rescue Carpet Repair uses power stretcher to straighten the loose carpet. Our carpet stretching technique is reliable and efficient. Our technicians not only know the nuances of carpet stretching, but they can also handle the power stretcher efficiently to draw out the carpet and do away with any ripples or looseness. In case the carpet padding has got damaged or worn out, we replace it. After that, we opt for carpet stretching. This makes your carpet tight and ensures it will stay that way for years to come. The hallway poses a challenge to the best carpet repair company. However, Los Angeles Rescue Carpet Repair has the expertise to ensure that a loose hallway carpet does not turn into a tripping hazard for you and your loved ones. All hallway carpets are seamed into the doorway transitions. We open up these seams and use a power stretcher to stretch both sides of the carpet. The excess portions are neatly trimmed and finally we seam the carpet into doorway transitions. Our method of hallway carpet re-stretching is quick and effective. It ensures you have a tight carpet in your hallway, and this is possible because of our skills, knowledge and experience. You can be certain that once we begin the process of hallway carpet re-stretching, we will finish it to your satisfaction. When carpet seams have not been sealed in the correct manner, they tend to rip open. Otherwise, seams last a long time. So, if you find that the carpet seams are ripped, you need to get in touch with Los Angeles Rescue Carpet Repair right away. We have been offering our carpet seam repair services for years, and our customers will tell you that we have always done a superior job. We repair seams of both commercial and residential carpets and take great pride in our workmanship. Using our carpet seam repair service will ensure you never have to spend money to replace your carpet as our technicians will fix the problem and make your carpet as good as new. If necessary, we will even dye your carpet to restore its former beauty. Our technicians are experts in carpet seam repair and we have the right equipment to effortlessly open seams and then fix them. Your four-legged family member is an integral part of your family. However, this family member can wreak havoc with your carpet. They can chew, soil, scratch or snag carpets that can make them unsightly. And, if you have worked hard to get rid of pet stains, you will end up with a carpet with ugly, discolored patches all over. Now you have nothing to worry about, as Los Angeles Rescue Carpet Repair is there to fix pet damaged carpet. If your carpet has sustained pet damage, there is no need to spend money to replace it. Our pet damage carpet repair technicians know all the tricks in the book to restore the look and feel of your carpet. We evaluate the carpet to figure out the severity of the damage, and based on our findings, we select the best pet damaged carpet repair technique. The damaged portion may need to be cut out and then a new piece would have to be fitted into that place. We use strong and quick-set epoxy resin so that the new piece gets permanently fixed. Our pet damaged carpet repair work is superior and you will not be able to figure out where we have installed the new piece of the carpet. If you do not have spare carpet pieces in your home, we cut out a part from a discreet corner of your home to carry out the repair. This ensures there is no mismatch in the color or pattern. This is also the time we recommend carpet dyeing as pet damaged carpet can often have faded and discolored patches. However, we leave this decision up to you and do not force you into it. 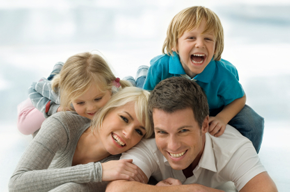 We ensure that pet damaged carpet is fixed quickly and the carpet is restored. This way, you save time and money as you will not feel the need to replace the carpet. It is inevitable that after a few years and with regular use, your carpet will get faded, making it look unattractive. Even spills, pet stains and bleach and constant dyeing will take a toll on your carpet, discoloring it. We use superior on-site carpet dyeing techniques to restore your carpet’s color. We use organic and plant-based dyes to dye the carpet. This means that you will not have to tolerate odors and fumes. We dye your carpet in your home or office, and use a quick-dry technique that makes your carpet ready for foot traffic within no time. We can dye your carpet in the color you want – we can restore the original color or give it a brand new color so that your home gets a new, refreshed appearance. Regardless of what you choose, you can rest assured knowing that we will work quickly to get your carpet ready and that too with minimal disturbance. We provide you with a range of color options so that you can pick and choose the color you want with ease. You can take your time to decide and based on what you decide and our recommendations, you can opt for color restoration or dyeing your carpet in a completely new color. The art of rug repair has to be mastered with training and years of experience. Los Angeles Rescue Carpet Repair possesses both and hence, we are ideally equipped to provide exceptional rug repair services. We can repair any type of rug, be it a Persian rug or an Oriental one. Our rug repair services extend to both commercial and residential customers. Rugs can get damaged with age, spills, pet chewing and stains, moth holes, water damage, food stains and even bleach. We evaluate the rug and the damage, and select the most appropriate repair technique. Los Angeles Rescue Carpet Repair has the right tools and expertise to effortlessly repair holes and tears. We will use the right kind of yarn to ensure no one will be able to figure out that you had your rug repaired. We dye the yarn to match the color of your rug and we can even carry out fringe repair using readymade fringe or manually woven fringe base. Regardless of what kind of rug repair you require, we have the expertise to carry it out. Los Angeles Rescue Carpet Repair ensures all your carpet-related woes are taken care of with our superior and efficient carpet repair services. Our wide range of services is designed to save you money in carpet replacement. So, give us a call at (213) 536-4934 and enjoy our environmentally sustainable and affordable carpet repair services without feeling the pinch. I love Los Angeles Carpet Repair Experts! They fixed my bleach stain that my kid made. They matched the color perfectly, I couldn't be happier! Thanks Joe!